HF: The China Daily, HK Edition, of 3rd November 2015 contained the sixth of a planned series of articles about what is seen as an “explosion of interest of material related to the city’s industrial past”. The photos shown here are taken from the Inddhk image library. The once thriving ship scrapping industry in Hong Kong seems to have sunk without a trace. 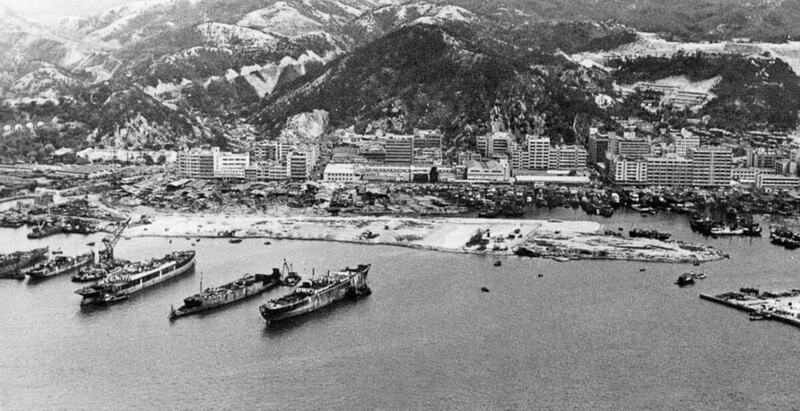 The scrap yards in Cheung Sha Wan, Ngau Tau Kok, Gin Drinkers Bay, Kwun Tong and Tsuen Wan — where laborers routinely exposed themselves to old fuel oil, asbestos and toxic oil paint — have all but vanished. 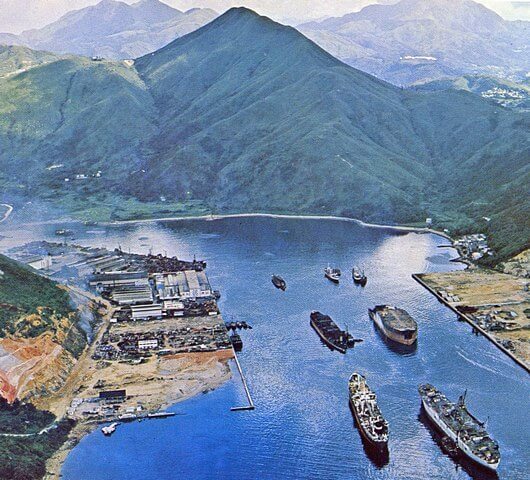 The last of these, at Junk Bay (Tseung Kwan O), became inoperative in the late 1970s.